Contrary to popular belief, there are still plenty of truly kickass destinations all over the world that aren’t overrun with tourists; stunning countries filled to the brim with awe-inspiring highlights (not busloads of visitors) and glorious corners of prominent travel hubs that have yet to be discovered by the crowd. Dream of getting off the tourist path and feeling like an old-world explorer? Check out these 5 off the beaten path travel destinations. Plan a whirlwind trip through the enticing Stans of Central Asia (Tajikistan, Kyrgyzstan, Kazakhstan Uzbekistan, Turkmenistan) and you’ll no doubt come across endless odes to Uzbekistan, the Stan that boasts the Silk Route’s top 3 historical treasures: the ancient walled city of Khiva, the colourful mosque-filled hub of Khiva and of course Samarkand, home to the world-famous 15th-century Registan. What you probably won’t come across in your research is much about Kyrgyzstan. Yet, Kyrgyzstan rocks. I mean all of it does. From the dizzying heights of the Tien Shan Mountains to the glistening sapphire waters of Issyk-Kul Lake (which took me an entire week to circle) the spectacular Karakol Valley and all those awe-inspiring landscapes dotted with iconic yurts and herds of wild yaks. The scenery in Kyrgyzstan is out of this world, some of the most arresting I’ve ever seen, and, in my humble traveller’s opinion, the most glorious in all of Central Asia. To top off this gorgeousness, I met merely a handful of foreigners during my three-month-long meander in Kyrgyzstan: mostly in the major cities where everyone stops to restock on supplies or, a couple of times, in remote 700-year-old caravansaries. By then, I was actually glad to have a chance to chat with someone of my own tribe. Overshadowed by its much bigger and louder neighbors, namely Russia and Turkey, Georgia sits at the intersections of Europe and Asia and boasts a culture and vibe that’s all its own. This is one of the most fascinating non-touristy destinations you’ll ever visit, anywhere. To be brutally honest, I barely knew it existed until the day I crossed its border and I consider myself a well-travelled gal. This was four years ago and I know that in travel circles this place has an epic reputation. It’s about time the word got out. Georgia boasts an illustrious history that goes back aeons, an ancient language no one can read and a northern mountainous province (Svaneti, or სვანეთი, in Georgian) that was never really conquered by anyone. Not the Romans, not Genghis Khan. Not even the Soviets (who certainly fought hard to gain control during their governance of the region) managed to actually tame that beast and its incredibly hardy inhabitants. 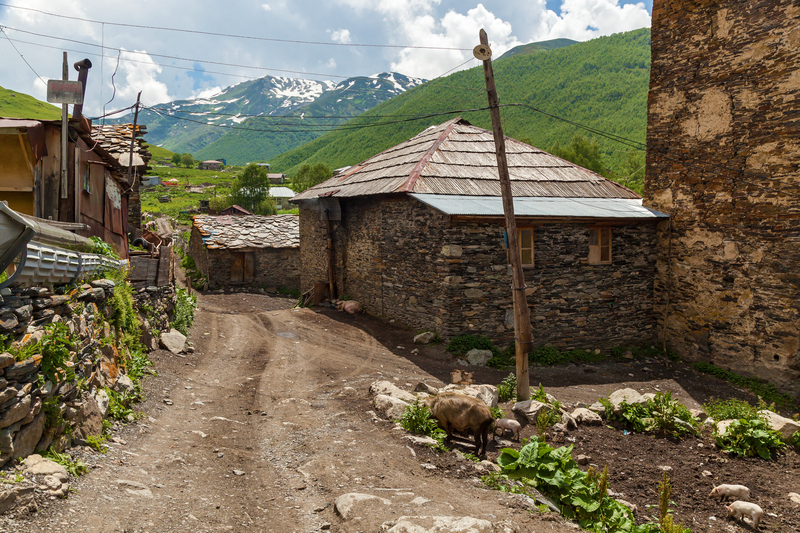 The Svaneti Province of Georgia rests on the southern slopes of the mighty Caucasus Mountains, framed by 5000m peaks on one side and resplendent verdant valleys on the other. Here, you’ll stay in thousand-year-old villages and meet people who only packed away their chainmail armour less than a century ago. They are friendly and hospitable and love bursting into song at any given chance, usually, after a vodka or 12. Some parts of Svaneti are snow-packed for six months of the year, inaccessible by road and – take it from someone who got stuck there for two weeks after an unseasonably early snowfall – worthy of 1000 fables. Now here’s a perfect example of how even a very touristed country – in this case, China – hides unending hidden treasures. Dodge the tourist crowds of eastern China, where all its most famous attractions and families of cuddly pandas are found, and head west instead into the endless horizons of the Qinghai Province. Here, you can indulge in an unforgettable experience crossing the Roof of the World, otherwise known as the Tibetan Plateau, with merely a few fellow souls in sight. Very few foreigners ever make it to this side of the plateau. The moment you experience the exquisite harshness of this high-altitude plateau, and its distinct lack of tourist infrastructure, you’ll understand the reluctance. Life is hard and basic, this high up, but it is also astonishingly beautiful. Whilst the Tibetan side of the plateau is easier to reach and, consequently, more visited, the Qinghai side is simply not. 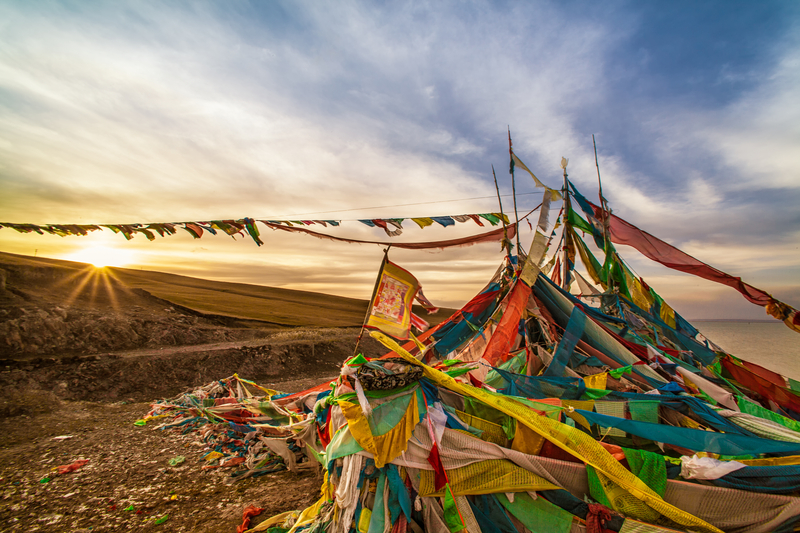 You get those awe-inspiring peaks, those astounding passes littered with prayer flags and all that startling visual feasting, minus the hordes of crowds you’d normally see elsewhere in the country. 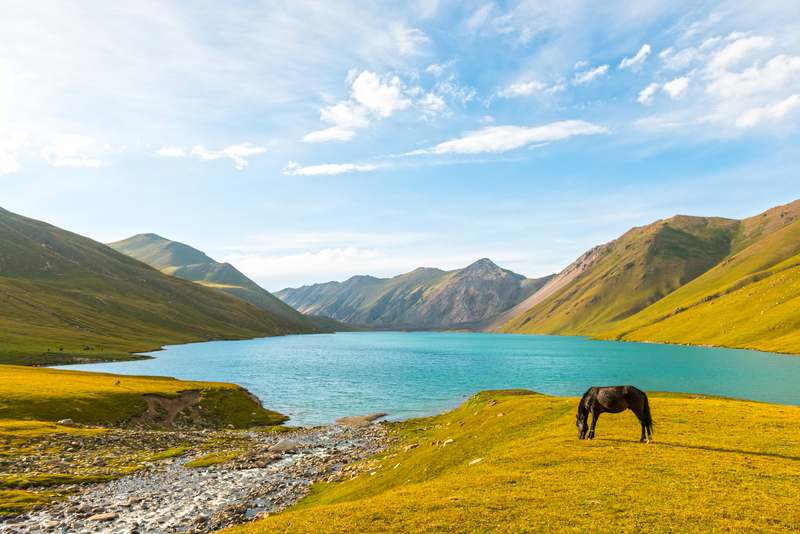 One of China’s most sparsely populated regions, Qinghai is a stupendous off the beaten path travel destination for anyone who wants to stand on top of the world – and feel like they have the planet to themselves. Many tourists think Bali is all there is to know about Indonesia yet discerning adventurers know that there’s a million hidden corners in this amazing archipelago. 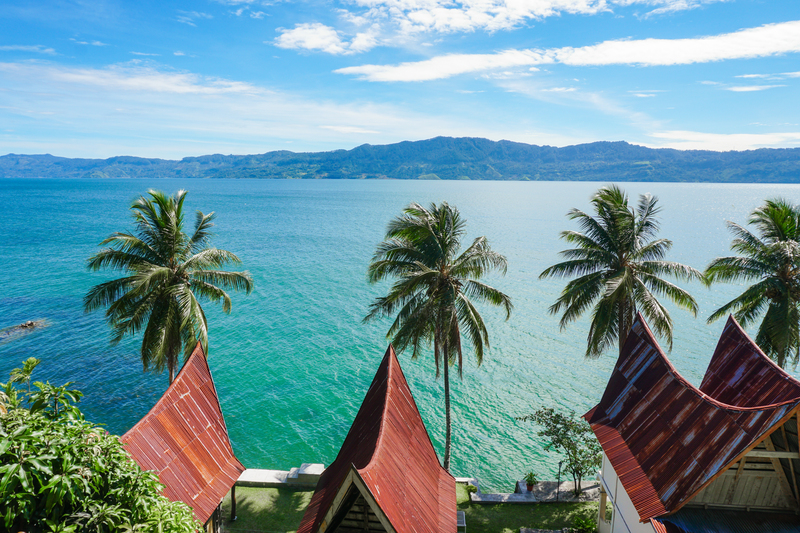 One such treasure is Sumatra and, specifically, dreamy Lake Toba. The filled-in caldera of an ancient volcano set right in the heart of this mountainous northern island, Lake Toba is the kind of place you retreat to when you need to rest between insane Sumatran adventures – touristed just enough to offer glorious guesthouses and amazing food but not nearly so much that you feel crowded. Quite the opposite, in fact. Lake Toba makes you feel like you’re in another world, one that couldn’t be further removed from Kuta. The dramatic volcanic landscapes, laid-back vibe, friendly locals and luscious jungles is what makes you come to Sumatra. Lake Toba is what makes you stay. Lao is often lauded for being Southeast Asia’s lesser-visited destination although you may find that hard to believe when you’re trying to catch a glimpse of the sunset atop Luang Prabang’s Mount Phousi, along with hundreds of your closest-friends-you-have-yet-to-meet. Sure, the country’s not overrun with tourists the way Thailand is but that doesn’t make its most visited hubs in the north any less besieged. So guess where you should be going? Southern Lao is an absolute splendour of tranquillity and natural delights, one that isn’t visited simply because it lacks a major public transport system. If you’re craving a bit of adventure then may I suggest you rent a bike (of the motorized kind) and make your way to Thakhek in the south, and get ready for the ultimate overlanding experience. The Thakhek Loop, as it is known among adventurous circles, is a 450km-long route that meanders through some of the most magnificent scenery in the whole country. The trail passes sleepy little villages boasting just a few rustic guesthouses and a handful of karst caves you can explore at will. 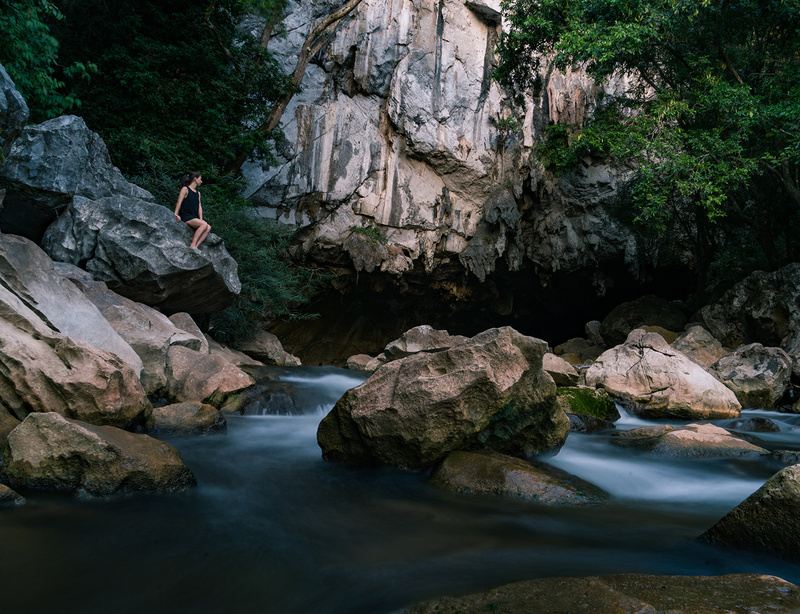 The highlight of the loop is a visit to Tham Kong Lo Cave which you can explore by long-boat for half a day. This underground cave stretches for an astonishing 8km and, were you to find this anywhere else in Southeast Asia, you could bet your bottom dollar it would be chock-full of tour groups. But it’s not. It is blissfully deserted most days and offers plenty of chances for swimming and sunbathing. Take your journey of discovery over four or five days, if you can, and just soak it all up.